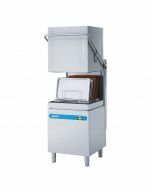 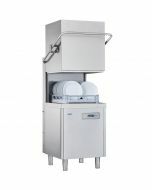 The MACH Deluxe Pass Through Commercial Dishwasher has been designed to meet the dishwashing requirements of the busiest catering establishments. 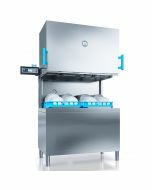 This high-performance commercial dishwasher feature automatic start when the hood closes, drainage pump as standard and performs a partial water change during each wash cycle. 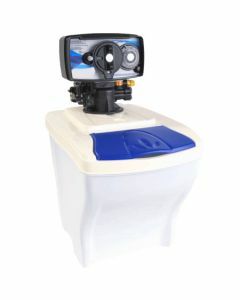 A wash booster pump and atmospheric rinse tanks is also standard to grant high performance rinsing. 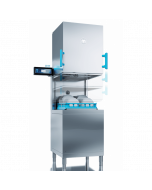 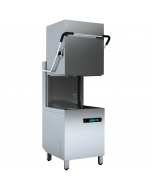 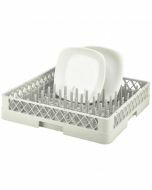 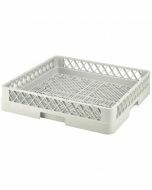 High quality and durability is key to the design of MACH Deluxe Pass Through Dishwashers, utilising stainless steel components throughout the machine including cabinet, boilers, threads, wash arms, plugs and jets. 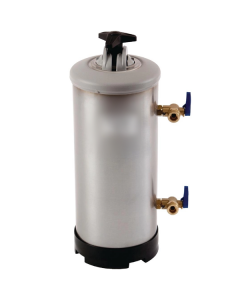 This heavy-duty construction prevents common break-downs and is backed by a long commercial warranty. 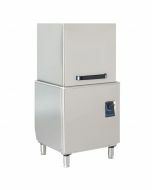 The built-in insulated 10 litre boiler made in AISI 304 stainless steel features a high-power 6Kw armoured element for a hygienically clean rinse whilst a 25-litre wash tank with 3kw tank element guarantees quick heating and recovery. 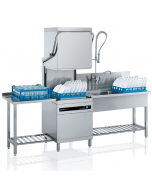 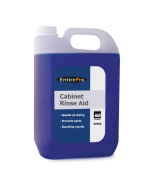 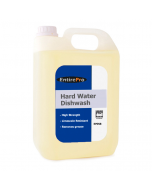 Built in rinse aid, detergent and drain pump ensures fully automatic operation.